L-r Romeo Gilbert, Zach Ducker and Scott Wallace. won two championships in different leagues and were invited to a national championship game in Florida. 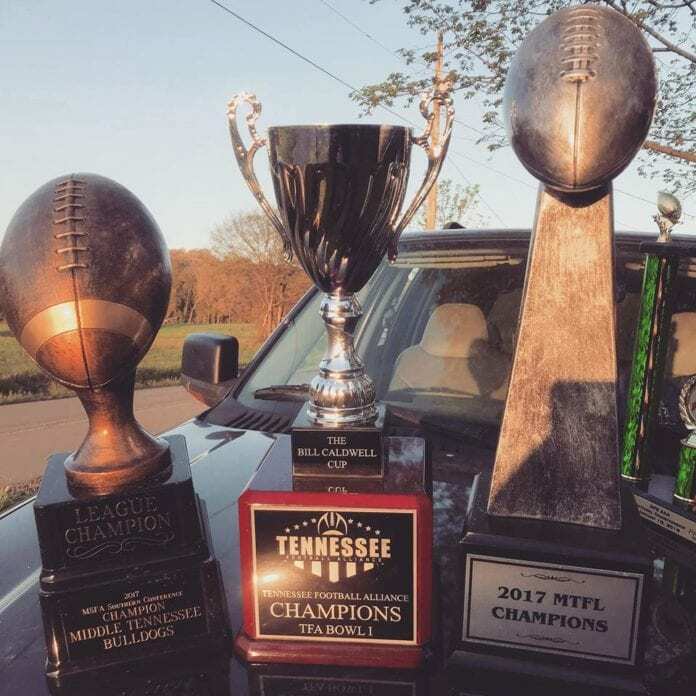 Last week, they won the first Tennessee Football Alliance championship. Now, they turn their attention to the Gridiron Developmental Football League (GDFL), one of the top minor league football associations in the country. Hendricks knows how grueling the GDFL can be. 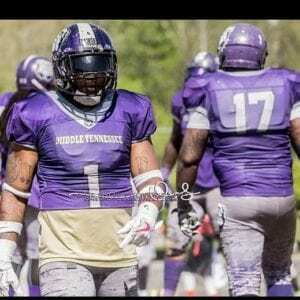 He played in all three seasons that the Nashville Storm participated in it. In 2015, he helped his team win the GDFL championship. The following year, they fell to the Oklahoma Thunder. For some Bulldawgs that played in that game, it still is a form of motivation. The Bulldawgs have a nice mixture of former Storm players and other players from across Middle Tennessee. Some names like; defensive ends Fred Sparkman and Romeo Gilbert, defensive backs Randall “Bay Bay” Smith, Chris “Kali” Perkins, Marcus Hill, and Twin Johnson are familiar on their strong defensive. On offense, GDFL followers should remember; running back Keon Bohannon, wide receivers Jeremie “Bird” Whittaker and Stevie Hendricks along with offensive linemen Michael Maddin, Juwon Turner and Darius Turner. Those guys along with newcomers to the league give them a formable unit. 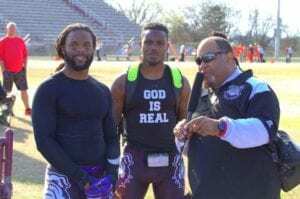 Jellying the two will fall on a great group of young coaches led by head coach Cromwell Stewart, offensive coordinator DeQuinn “DQ” Watford, offensive line coach Chris Moseley and running back coach Jonathon “Bama” Carter, all of which have earned numerous championship on the field. Defensive back coach Mike Seay has won rings on the sidelines. The wildcard of the staff is special teams coach Luther “LG” Gregory.